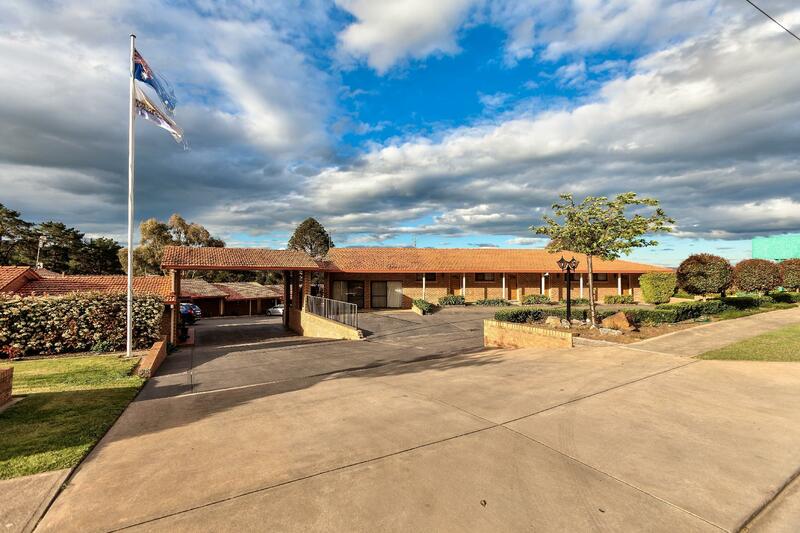 يقع في Glenroy, Sundowner Hume Country Motor Inn إنه المكان الأنسب لاكتشاف ألبورى و ما يحيطها. يحظى هذا الفندق ذو 3.5 نجمات بمكان ممتاز يسمح بالوصول إلى المعالم السياحية الأكبر في المدينة، فهو يبعد مسافة 4.5 km عن صخب المدينة. يشكل هذا الفندق ملاذاَ مريحاً للاسترخاء ويمنح زواره فرصة للاستجمام والتجدد، وهو يقع على بعد خطوات من المعالم السياحية الكثيرة للمدينة كمثل: بي اس كومبرونا, مطار البورى. إن حسن الضيافة والخدمات الراقية التي تعرف بها SilverNeedle Hospitality تغني تجربتك في Sundowner Hume Country Motor Inn. إن واي فاي مجاني في جميع الغرف, مرافق مخصصة لذوي الاحتياجات الخاصة, واي فاي في المناطق العامة, خدمة صف السيارات, صف السيارات هي جزء فقط من الخدمات التي تميز Sundowner Hume Country Motor Inn عن باقي الفنادق في المدينة. يمكن للنزلاء الاختيار من ضمن مجموعة من الغرف المصممة بعناية لتعكس جواً من الراحة، والتي يتجاوز عددها 21. كما أن مجموعة الخدمات الواسعة الموجودة في الفندق لضمان راحتك تترك لك الكثير من الخيارات لقضاء وقتك أثناء فترة إقامتك. يحظى فندق Sundowner Hume Country Motor Inn بموقع ممتاز وخدمات يصعب منافستها. I enjoyed my stay, however, the bed was not as good as the one I had in No. 35. The Motel has just been taken over by new owners and they are working very hard to make things work. They were very helpful if any requests were made. Although it is a little way off the main road it is very quiet. Rooms are very comfortable. The one night there was very comfortable. We walked for dinner to the city and back - it was a good 30 minutes walk but we enjoyed taking the surrounds in. 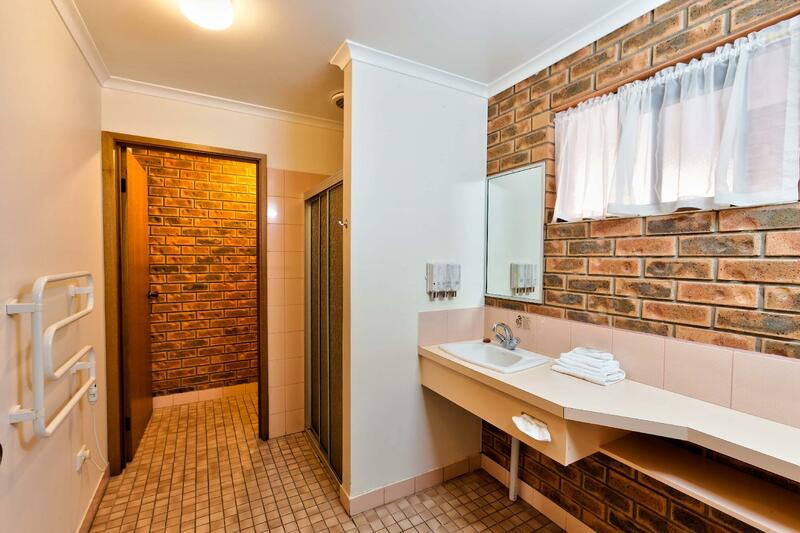 This motel is a few blocks away from the hustle and bustle of downtown Albury. 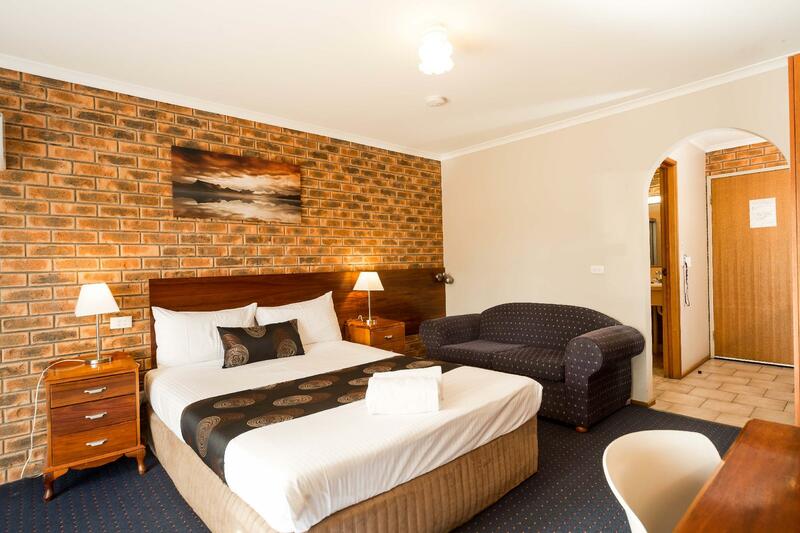 Perfect for a night away or on the way to Sydney / Melbourne. Plenty of coffee options in town in the morning. Simple, tidy, clean and neat. Breakfast is a bonus! Would stay there again. Advertised free wifi was not available most of the time then intermittent but this is minor. The only downside was that there was no one there for check in as they were picking the kids up from school and told us, via phone after we rang, that the room was unlocked. However the room was still locked, so after about 20 mins waiting she returned and then tested the room door and realised it was locked. We found the hotel to be very clean , comfortable and well presented . Would definitely stay there again . Room was perfect as were the staff / owners. The restaurant food delivered direct to your room was very convenient after a long drive with the food being extremely good. Quiet location with no noise coming from adjacent rooms - just what we wanted. Piecefull surroundings with wild kangaroos about. Lovely place, definitely better standard than many other places seen before this one. 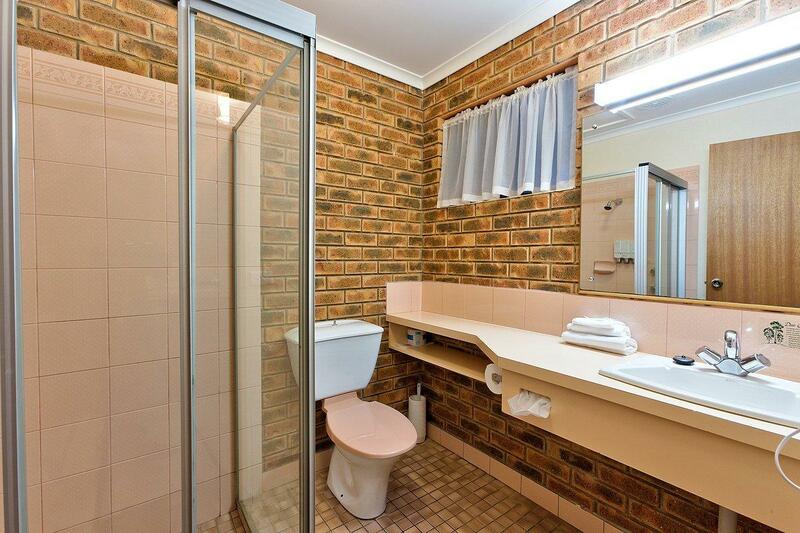 Clean and fresh with a nice swimming pool and BBQ area. 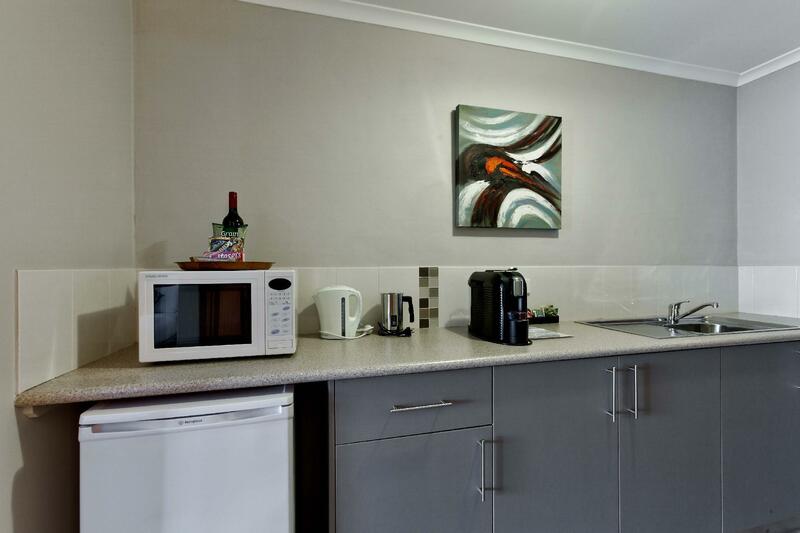 Tranquil surroundings with gorgeous parrots and wild birdsong. Spotted a few wild kangaroos as well feeding on the neighbouring land. Will surely book this again for a pieceful escape. Good except we have to queue up fo take bath and toilet. Rather than deliberate over some of those things explained by others in reviews, I figured I would recount a scenario that eventuated. Arriving extremely early to be advised the room wasn't ready, and with it advise that the cleaners were sick and a fill-in organised, I totally accepted the suggestion by the lovely Justina who was terribly nice and as accommodating as she could be. A few hours later we returned, were provided with fresh milk, given the key and advised where to go - not far. We found the room to be large and well equipped, if a little old. But hey, being in top condition this matters little. My wife soon jumped into the shower only to complain that the shower smelt. That's when I opened the toilet lid to find a real mess. I immediately concluded that given how the place had been booked out the previous night and how a ring in assisted with the cleaning, that not all went to plan. Dissatisfied but completely accepting of how these things can happen, I called Justina who just about fell off her chair. She was devastated and as soon as we headed out for dinner (10 minutes later) she came in and cleaned the toilet. On our return all was clean, an apologetic note rendered, along with a complementary overnight stay voucher for a spa room. I've had sort of similar situations with regards to a cleaning issue a few times over the years, but none of the facilities involved handled the situation like Justina. Nor was I offered any compensation (not that I asked for any). Justina went beyond the call and I have to applaud her for that. In turn I recommend the Sundowner Hume Country Motor Inn.